IE: WRECKS, EXTREME HIGH MILAGE, ETC. 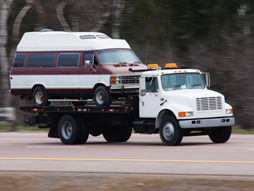 No need to move vehicles to a specific location, Fleets USA will pick them up anywhere it’s convenient for you! 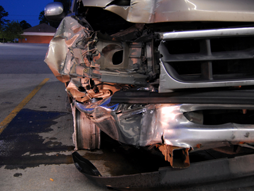 Wrecked,Running,or extreme high miles no problem Fleets USA will pick up your vehicles in any condition! Fleets USA has sold an incredible variety of company assets over the years, have something you need sold? See how we can help! Please enter your username and password to log into the client area of the website. We will be your remarketing partner and will work with you to ensure the best possible outcome on each transaction.timely manner. We will work with you on a nationwide basis to get the highest wholesale dollars for your vehicles. Our goal is to be straightforward with each transaction so that it goes smoothly and is completed in a timely manner. With our user friendly client portal you can view pictures, condition reports and the status of your vehicle from anywhere anytime! Fleets USA offers the most comprehensive and efficient remarketing services in the nation. We can pick up a fleet vehicle at any location and in any condition with no fees and we work to obtain the best return on you’re out of service vehicles. We offer automotive remarketing that is unsurpassed with online services available for your convenience. Our fleet sales remarketing service allows you to either directly cosign vehicles online or you can opt for fax or email. Our goal is to make the vehicle remarketing process as simple and transparent as possible. 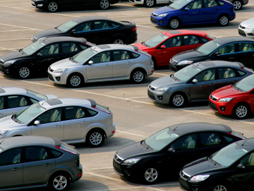 We understand that when you are selling fleet vehicles you want to get the best possible return in the fastest time. Fleets USA also offers title and administrative services so that you can have complete peace of mind. We handle the title administration and paperwork process. If you need lease termination paper work done we can assist you with that as well. Our service is the best in the USA and we are here to provide for everything you need to sell fleet vehicle inventories successfully. Contact Fleets USA for more information about our used fleet vehicle sales service, or fleet vehicle disposal. We are here to answer any questions you may have. Give us a call at (303) 730-8551 today. Our goal is to provide you with the finest remarketing service in the industry, bringing you top dollar for your fleet vehicles. We are a national used fleet vehicle company specializing in out-of-service fleet vehicles.